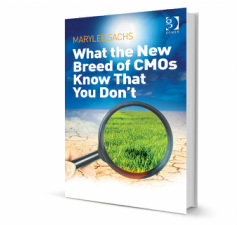 In the research for this book, 26 CMOs were interviewed from a range of B2C and B2B organizations. In all cases, their roles were different to what had gone before — they had been appointed within relatively recently to a newly-created role, a heightened role, or a post requiring significant restructuring. Their participation was gratefully received — for allowing us to peer into their organizations and, by doing so, contributing to and curating this book. All of them are to be congratulated for leading change in their organization, going boldly where no one has been before.